Film is a reactive medium, but because it is expensive and time consuming to make it’s also often a slow one. The Black Lives Matter movement began in 2013 but this year we seem to have seen a glut of films that feel like they are responding to that movement and the reasons it exists. 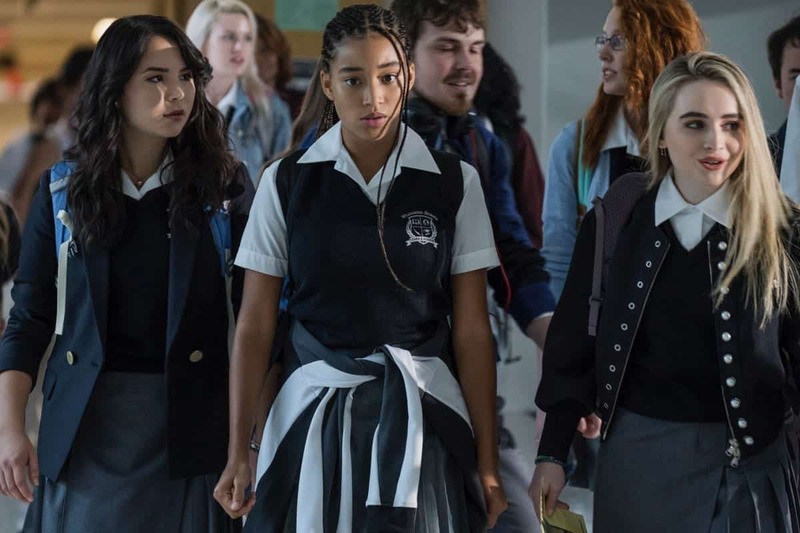 The Hate U Give, based on Angie Thomas’ 2017 novel is perhaps the most direct of these films, as it spotlights how Starr’s (Amandla Stenberg) life is affected when she witnesses a childhood friend’s death in a Police shooting. From the very beginning, the film hits you hard with harsh realities, as we see Starr and her brother, at 10 and 11, getting “The Talk” about how to behave when the Police pull you over or stop you on the street. It’s a shocking sequence for so many reasons, because it brings home not just the privilege we have as British people, largely not having to fear being killed by Police but also the level of white privilege inherent in this being a shocking conversation to see a man have with his children. That’s something that comes home over and over in the film, in the overarching story of how Starr presents herself as a different person for the largely white audience at her prep school and right down to the tiniest details of interactions. While it is highly politically charged, The Hate U Give also makes its story work at a personal level. Stenberg, an activist off screen, clearly feels this role deeply and she plays it with exceptional nuance, initially drawing a bright line between how Starr presents herself at home and at school and making the journey that blurs that line ever further one we empathise with. 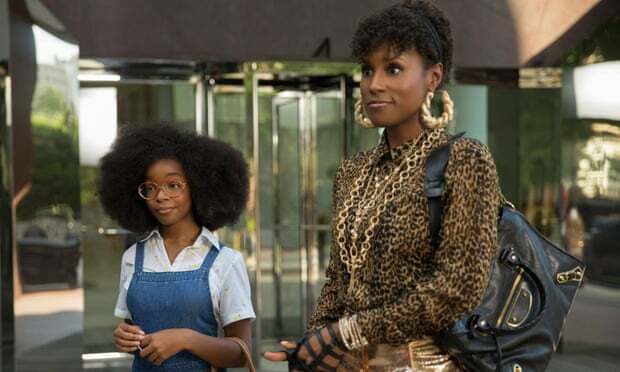 This, and the equally excellent performances from Regina Hall and Russell Hornsby as Starr’s parents, help the film get over its bumpier patches, when for a moment the ideas overtake the story rather than the story embodying them, and it can feel a little like being lectured. These moments are rare though, and these ideas important enough to justify the film shouting them at the top of its voice. That said, the film also finds time to locate chinks of light in the darkness. Starr is still just a normal teenage girl, and the lovely prom scene in which she makes up with her (white) boyfriend reminds us that life goes on, while still keeping the film’s politics an integral part of the moment. I’m glad this film is a 12A in the UK, because it presents some urgent issues in a way that is accessible to young people who are perhaps on the cusp of having confront them, but it should resonate with audiences of all ages and backgrounds and give everyone something to think and to talk about. Grade: 4/5 – A provocative and political film that doesn’t talk down to its young audience. A cult classic in Germany, and the first film of their industry’s biggest star, Til Schweiger. Wolfgang Büld’s comedy of a weekend in the lives of young, working class, car loving kids hadn’t seen the inside of a cinema anywhere but Germany, until Henning Wehn chose it to show at the BFI’s currently running Comedy Genius season as a counterpoint to the question ‘are Germans funny?’ On this evidence, yes, but that’s probably quite often lost in translation. There are several prongs to the story. Bertie (Schweiger) is trying to avoid the issue of moving in with his girlfriend Uschi (Tina Ruland) and bets their deposit money that he and his Manta (a fairly crappy, but then fashionable, souped up car) can outpace a rival’s Mercedes. It’s Klausi’s (Michael Kessler) birthday, so Gerd (Stefan Gebelhoff) has lent him his Manta for the day and his friends have arranged for Angie (Nadja Naidenow) to ‘babysit’ him and Gred has fallen for a woman (Sabine Berg) and is dragging Bertie around trying to find her. That doesn’t cover all of the storylines, but they and other elements criss cross in entertaining fashion before coming to a head at or around the climactic race. There are teen movie elements at work here, beyond a structure and approach to the film’s soundtrack that echoes that of American Graffiti, and the coming of age elements work pretty well. Alongside the story and comedic elements, Büld and his team mount some effective chase and race sequences for a film that was shot on a quick schedule and a low budget. The centrepiece chase between Klausi and a club owner is particularly good fun, and the final race has a proto Fast and the Furious feel (from when those films were still about racing). Yes, the subtleties of the verbal gags are almost certainly lost in translation and possibly also in cultural references, but Manta Manta still scores a good few laughs, especially with Klausi and Angie’s story. If it’s not quite a lost classic, that’s fine, it’s good fun and a time capsule of what appears to be a very specific moment in German culture. Grade: 3/5 – Germany does a teen comedy with great car stunts. Fun, if not a laugh riot if you only speak English. I was never the biggest fan of Barack Obama, not because I bought into the many conspiracy theories about him, but because he was never quite the liberal he campaigned as when he was actually serving as President, but perspective is everything. 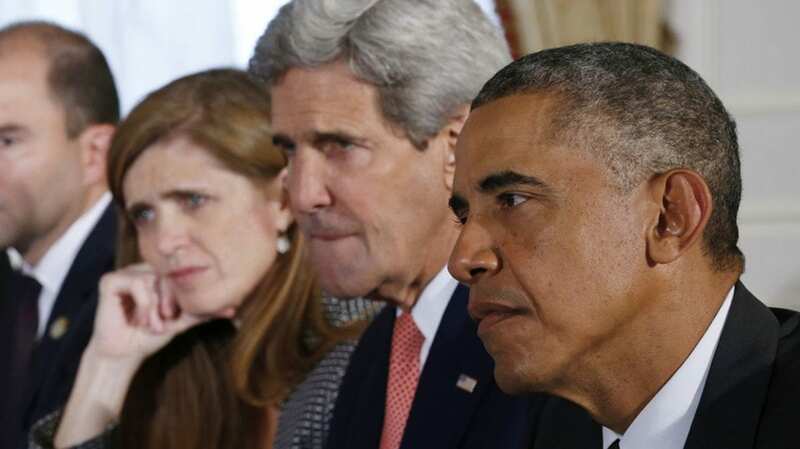 The Final Year follows the foreign policy side of the last twelve months of the Obama administration, focusing not so much on the man himself as on members of his team: secretary of state John Kerry, UN ambassador Samantha Power, deputy national security advisor Ben Rhodes and national security advisor Susan Rice. Structurally it’s a fairly unremarkable and disappointingly uncritical film, preferring to document than to probe, but that’s not the most notable thing about it. Over the past two years, American politics has become more like a reality show than a sober talking heads documentary like this one and for me the greatest interest in The Final Year is not the minutiae of the work going on behind the scenes or the glimpses of home life for these people, it’s the palpable difference in the fundamentals of their approach. Everything in a documentary must be taken with a pinch of salt, because the very imposition of a narrative shapes reality, but the impression here is that the people we see are earnestly trying to deliver ideas they think will do good, both for Americans and for other countries. That’s not something I’ve ever seen reflected in the administration that followed them. This is very much felt in the discussion of how difficult several landmark deals were to make and how they might need to be protected if Republicans won the election. Every one of these, the US/Cuba deal, the Paris climate accords and the Iran nuclear deal has been either torn up or heavily altered since this film was released. Context has, I suspect, changed The Final Year. If Hillary Clinton had won it might have felt like a valedictory film, a goodbye to a regime that tried, but could have done more. Now, with each passing day, it looks more nostalgic, like a dream about when things mattered. Grade: 3/5 – Unremarkable, if informative, filmmaking that has taken on a haunting quality because of what has happened to these offices since it was made. Few actors have a more definable niche than Jackie Chan. He may not have invented the kung fu comedy, but no filmmaker has done more, over the years, to define it. It has though been 40 years that Jackie has largely been confined to his lane and, as he gets older, both the exertion of these films and the inevitable desire to do something different have led him to take a few darker and more dramatic roles in recent years. The Foreigner certainly fits this pattern, finding him as a vengeful ex-soldier pursuing the IRA terrorists who killed his daughter in a bombing. The Foreigner has plenty going for it. Director Martin Campbell has successfully relaunched James Bond twice, with Goldeneye and Casino Royale and here he’s reunited with his first Bond, Pierce Brosnan (playing, to all intents and purposes, Gerry Adams), and the film fits squarely into the current fashion for the geri-action genre, spearheaded by Liam Neeson’s post Taken career. The story, too, could be interesting, with plenty of political intrigue behind the action. Unfortunately, it doesn’t really work. Jackie Chan, while top billed, is largely a peripheral figure. In fact, if his character weren’t in the film it wouldn’t particularly matter, as the political side of the storyline would still be complete without him. While in recent years Jackie has explored drama, rebooting the Police Story series with a scowl rather than a smile and giving his best dramatic performance in the remake of The Karate Kid, he can’t do morally ambiguous. Rooting for his character as he sets bombs and injures people who, while not pleasant, haven’t directly hurt him, is problematic. In the hands of a more rounded actor (and a deeper screenplay) this could be interesting, but Jackie just doesn’t have the chops. Happily, though it’s more heavily edited than it was in his heyday, he still delivers some spectacularly nimble, and in this film pretty heavy hitting, martial arts. The action, sadly, is about all that is worth seeing here. The weak screenplay is full of eminently guessable twists and the actors have little to work with. Brosnan does his best, but there’s just not enough for him to hold on to to deliver anything more than a solid Gerry Adams impression. With its straightforward writing and direction and a plot about IRA terrorism, to say nothing of the many uncomfortably casual uses of the term ‘Chinaman’ (it was the title of the novel the film is based on), The Foreigner feels like a refugee from the early 90s and, a few fun bits of martial arts aside, I’d have been okay with it staying there. Grade: 2/5 – Watching Jackie Chan fight is always fun, but this underwritten drama plays to his weaknesses.